It was the last one considered by the Television Academy, but it ended up being the best. 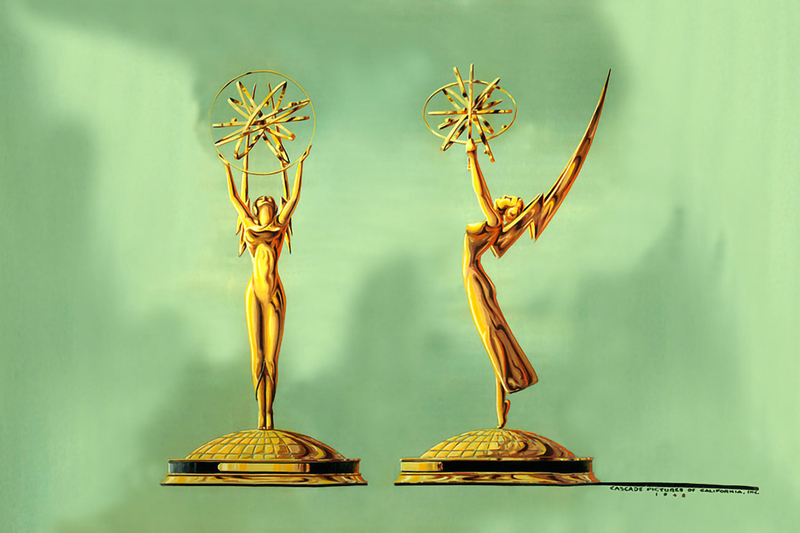 After rejecting 47 proposals for what was to become the Emmy statuette, Academy members in 1948 selected a design that television engineer Louis McManus had created using his wife as a model. Academy founder Syd Cassyd suggested "Ike," the nickname for the television iconoscope tube. But with a national war hero named Dwight D. "Ike" Eisenhower, Academy members thought they needed a less well-known name. Harry Lubcke, a pioneer television engineer and the third Academy president, suggested "Immy," a term commonly used for the early image orthicon camera. The name stuck and was later modified to Emmy, which members thought was more appropriate for a female symbol. Each year, the R.S. 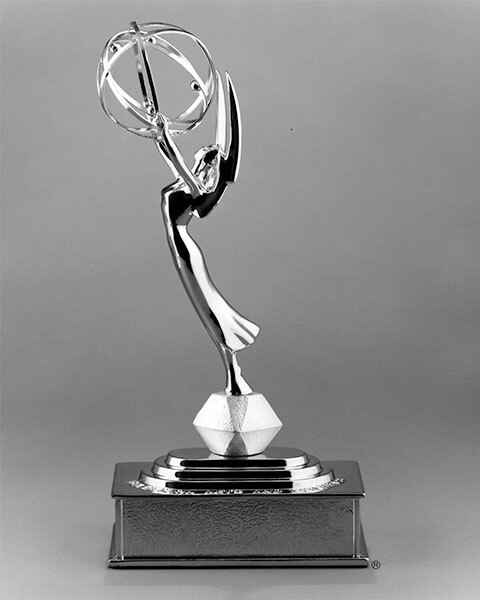 Owens company in Chicago is charged with manufacturing the close to four hundred statuettes ordered for the Primetime Emmys, which are awarded at the Creative Arts ceremony and Primetime Emmy telecast. 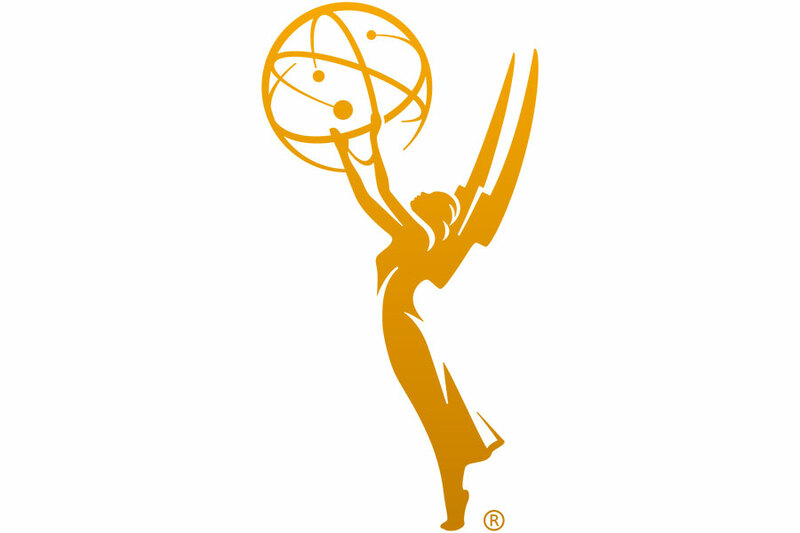 In addition, between two hundred fifty and three hundred statuettes are ordered annually for the Los Angeles Area Emmy Awards, honoring excellence in local broadcasting. Watch "The Making of Emmy" - our exclusive behind-the-scenes look at the process of making the golden statuette. Although the numbers of categories rarely change, the possibility of multiple winners prompts the Academy to order extra statuettes. Surplus awards are stored for the following year's ceremony. 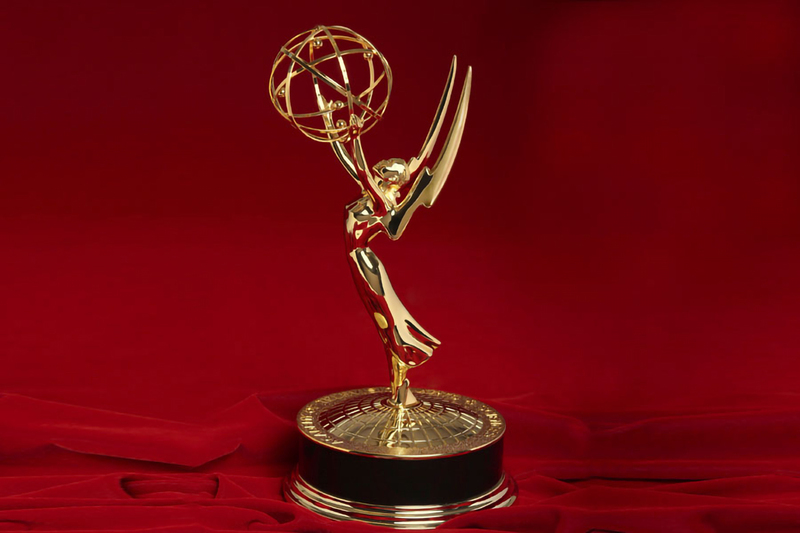 Each Primetime Emmy statuette weighs six pounds, twelve ounces, and is made of copper, nickel, silver and gold. Each takes five-and-one-half hours to make and is handled with white gloves to prevent fingerprints. 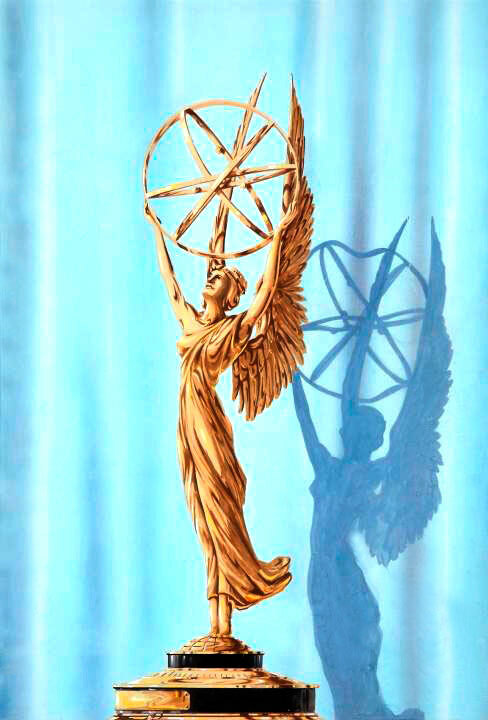 Each Los Angeles Area Emmy statuette weighs three pounds, five ounces.